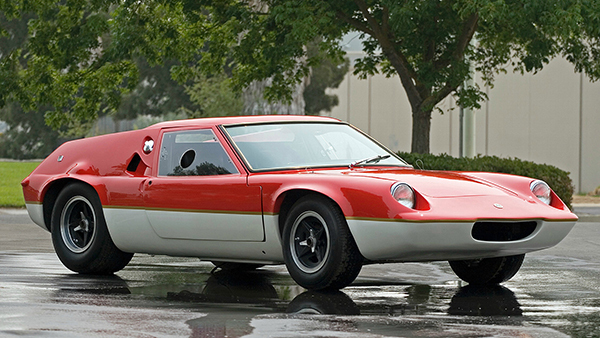 The Lotus Europa is unique in many ways. The ground-breaking aerodynamic body design was sleek yet stylish. However, the adaptation of the mid-engine design used in Grand Prix cars for a road vehicle was truly pioneering. Lotus had bid for the Ford GT40 racing car project in 1963 and it is believed that the Ron Hickman designs evolved into the Europa. As with many of Colin Chapman's cars, there was a focus on performance with minimum weight. Lotus engineering design team's aim was to volume-produce a two-seater, mid-engineed sports coupe at a reasonable cost. The result was a driving enthusiast's dream, with the car offering superb handling. In 1966, Lotus launched the Europa. Originally, the idea was for the Europa to replace the Lotus Seven. However, the two cars attracted a very different customer base and sales for the Europa became export focused. Also known as the Lotus Type 46, the first Europa cars were delivered in France in February 1967. In Germany, the car was sold under the name 'Europe' by the Volkswagen Group. The S1 featured a 1470cc Renault 16 engine producing 82 bhp and a 4-speed gearbox. The design was very light (fibreglass body) and minimalistic with fixed side windows, no door handles, no internal door covers and an aluminium dashboard. 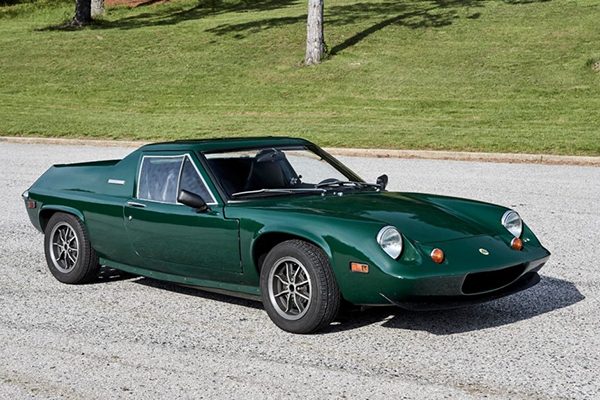 Lotus only built 296 S1 Europa cars and this model is the rarest on the market with an average value of £11,000 (Hagerty Insurance). With the S1A and S1B, Lotus made a number of small changes to enhance the Europa. Both had internal door covers that enabled the windows to be removed. The aluminium dashboard was replaced with wood. Lotus produced 342 S1A and S1B Europa cars. In April 1968, Lotus introduced the Europa Series 2 (or Lotus Type 54). The design changes focused on comfort rather than performance with electric windows, adjustable seats, carpeted interior and a polished wooden fascia for the dashboard. The most significant design change was replacing the fully-bonded fibreglass body. Instead, the fibreglass body and backbone steel frame were attached using bolt fasteners. The S2 further evolved in early 1969 with secondary front indicators and larger door-handles. Lotus produced 4,294 S2 Europa cars. The Type 74 Europa Twin Cam was launched in 1971. The new Lotus-Ford engine had been boosted to 1557cc producing 105 bhp. Lotus produced 1580 Europa 'Twin Cam' models before switching to a 126 bhp 'Big Valve' version of the engine in September 1972. The new model had a Renault five-speed gearbox and accelerated from 0-60 mph in 6.6 seconds (Motor Magazine test). The first 100 Big Valve versions were badged and painted to honour the just-won Team Lotus's 1972 F1 World Championship title with John Player Special as sponsors. 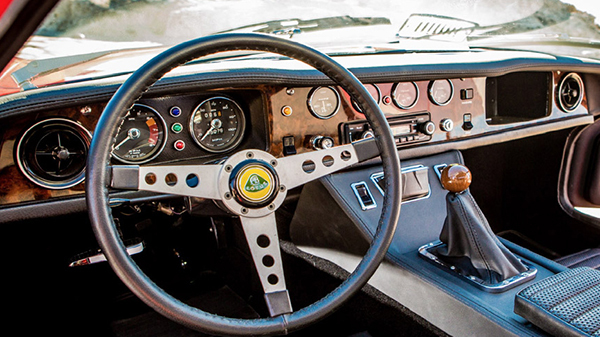 3130 Specials were manufactured before Lotus ceased producing the Europa in 1975. As with most early Lotus cars, SMITHS Instruments designed and manufactured the gauges. The Europa dashboard featured six SMITH gauges in all with the Speedometer and Tachometer mounted directly behind the steering wheel. The other four gauges were centrally mounted. The SMITHS gauges continue to be manufactured today, with more details on the Lotus devoted section. In 2006, Lotus released a new Europa S at the Geneva Motor Show.